Entomophagy is the term used to describe eating insects. 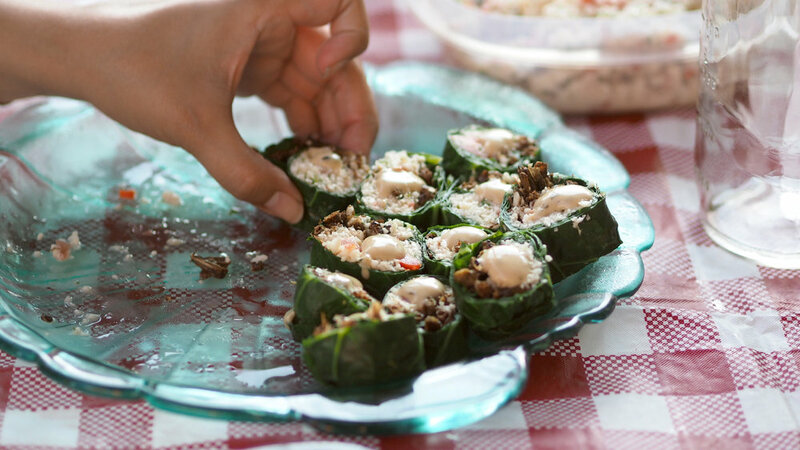 Eating bugs is not a modern phenomenon—entomophagy has been part of many world cultures for thousands of years and today in Thailand, South America, and China, bugs are considered a great delicacy. éntomo wants to tackle some of the 'wicked problems' that Western society faces every day such as global warming and depleting land resources used for agricultural farming. Through éntomo, we have found a way to marry our deep love for all things tasty and nutritious with society's need for an alternative food source to feed future generations. éntomo is an ongoing design research and development project so if you would like to work with us, donate or share news please get in touch! Currently, livestock occupy 70 percent of all farmland across the world. In contrast to this, mealworms only require 10 percent of the land used for the production of beef, 30 percent of the land used to produce pork, 40 percent of the land needed for chickens yet they can provide us with similar amounts of protein.